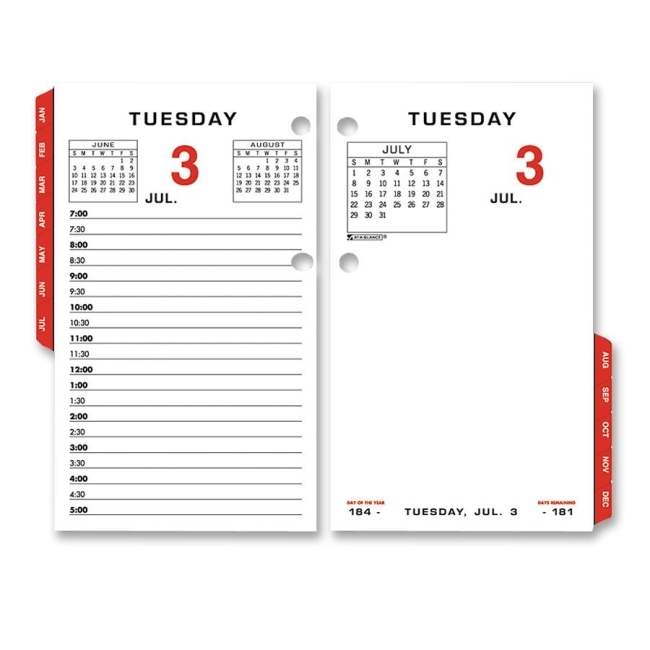 Loose-leaf desk calendar refill features full weekends and each weekday on a two-page spread. Each spread has ruled, half-hourly appointment times from 7 AM to 5 PM, full weekends, two-color format, Julian dates, and past, current and future months reference. Planning pages range 12 months from January to December. One tab per month allows easy reference. 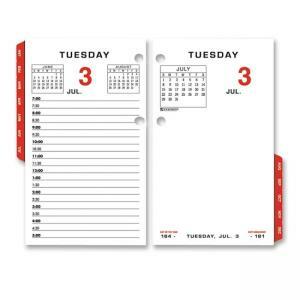 Dated calendar refill fits standard E17-style bases. $45Day-Timer Coastlines 2 Pages Per Day Daily Refill - 5.50" x 8.50"